Who doesn’t love the school holidays? It usually means you don’t have to wake up as early on weekdays, no homework, and lots and lots of fun. And most of the time when we were kids it always felt like the holidays ended all too soon, and then we were back into the daily grind maybe the panic of racing to complete holiday assignments and book reviews. As parents, as much as we love our kids and also love that we can get some extended time with them during the school holidays, you have to admit that sometimes we run out of ideas trying to keep them entertained. There’s only so many museum visits and outdoor activities you can do within the two weeks, and at home you need distractions that are more attractive than the TV. So we thought we’d help out in the entertainment department and found some pretty interesting play kits for kids with various interests. And we were amazed that some things were pretty easy to get. And when you receive your kits and sit down with your kids for the activity, you can also think of them as home camps! Parents know nowadays that teaching your kindie kids to code is like teaching them to speak a language. The route to a bright future is pretty telling as to which skills will likely end up more useful for our children. Of course, jumbled up letters and numbers that come with learning code might fly over a 5-year-old’s head. 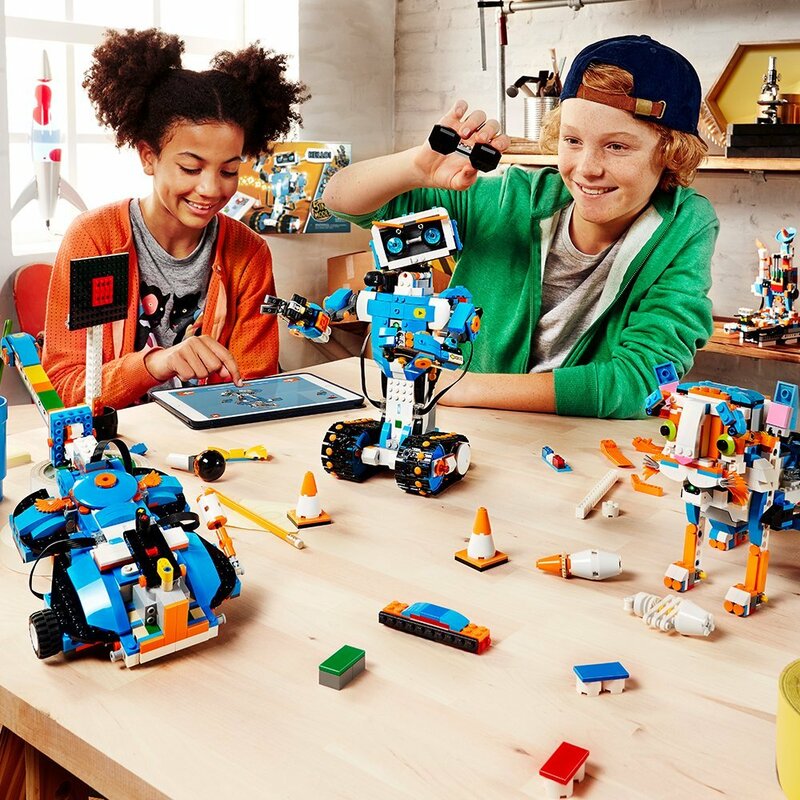 But Lego claims that they are making learning to code easier with their Mindstorm products, which also own Toy of The Year this 2018. These sets might be a little on the pricey side, but we are pretty sure that the adults will have just as much fun as the kids building your very own personalized family pet robot. They do not ship to Malaysia so be sure to use our US warehouse address to get your own set! What would it be like to see the world up close? As in, really REALLY up close? A kid friendly beginner microscope might be just the right kind of tool that’s needed to ignite the love of biology and since in your kids. There’s just something about being trusted to handle seemingly fragile equipment extremely cool in a kid’s world. 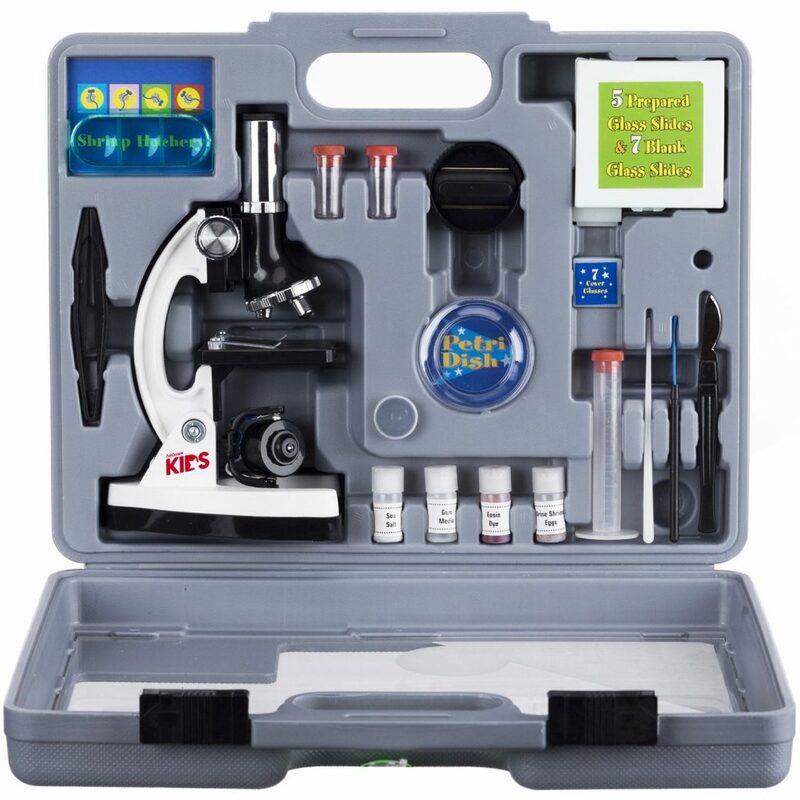 With this Amscope Kids Microscope Kit, it enables you expand your primary school goer’s world and gives you endless possibilities for supplementary outdoors activities. Go on a foraging outing and collect leaves, feathers, or even insects and inspect them under the lens when you bring them home. Want something a little more intimate? Use a slide and place a saliva sample to see if you can catch a glimpse of microcellular living organisms. It’s definitely a kit that would enrich everyone’s lives. In our search, we stumbled upon this amazing website called Scientifics Direct and discovered so many toys we never knew existed, and all of them look every bit of fun too! You can shop by the kind of science according to your kid’s, or shop by age to make sure you get something that your kid would find both challenging and achievable. 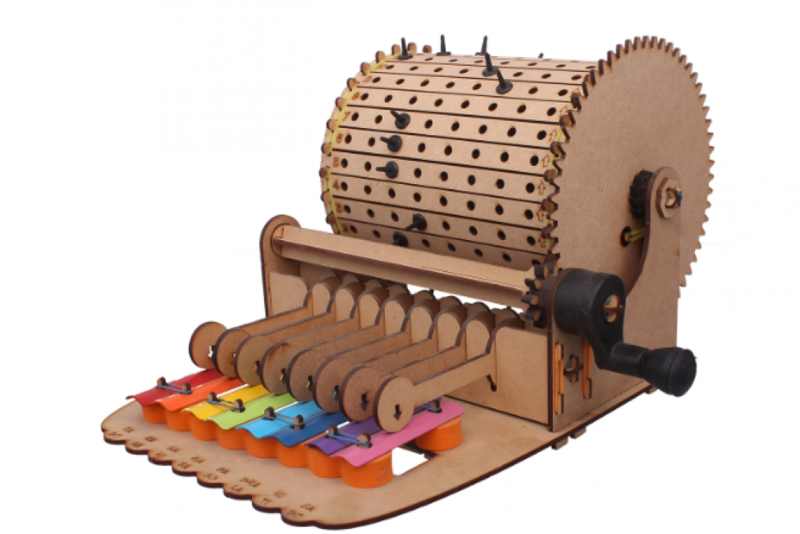 But the one toy we saw that really got us interested was this Musical Xylofun Music Machine. First of all, the colours of the xylophone is definitely eye catching, and because of the way this music machine sets up, it makes it look ultimately interesting and highly interactive. You can either use the guides given for existing simple tunes, or even get try your hand at doing simple compositions! Who knows, your kid might start getting bitten by the music bug and can become the next Syila Hamzah. Ever read those Judy Blume novels, or the Sweet Valley Twins series, and thought it must be so fun to be able to have girls sleep over and do all the fun games and makeshift beauty things these tweens do? We can never get the chant of “I must, I must, I must, increase my bust!” out of out heads. If you have some girls who are trying to play around with makeup and beauty but don’t want to spend too much on them, you can try looking through Hobby Craft UK to see if you can get some fun girly kits for them. We found that most of their products come at very reasonable prices, which will be perfect for Christmas gifts! 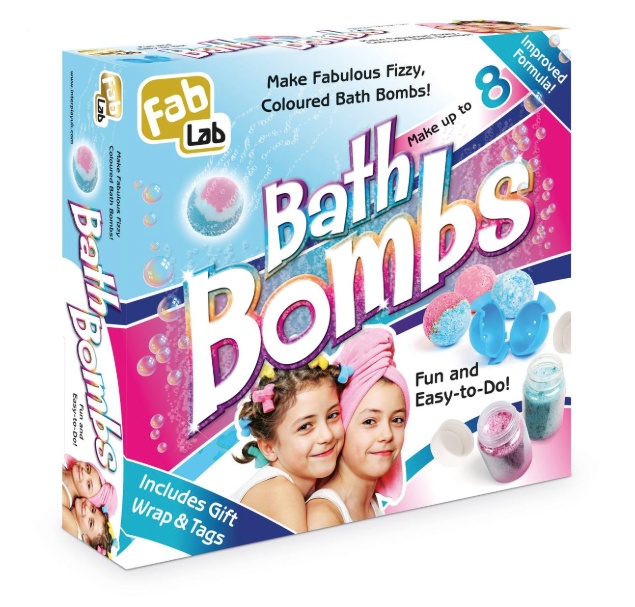 But when we saw the FabLab Bath Bombs Kit, we were sold. Fizzy bath bombs are such an in thing right now, but you don’t have to break the bank getting a few everyone can try out from Lush, when you can try your hand at making your own. Definitely great for bonding with daughters. While waiting for their bath bombs to set, another activity you can set your kids down to do would be to learn how to make friendship bands! We love activities like this because not only does it keep them occupied, but they’ll end up with something they can be proud of, and you can even say that they’ve learnt a skill and start making them as presents for all their friends. 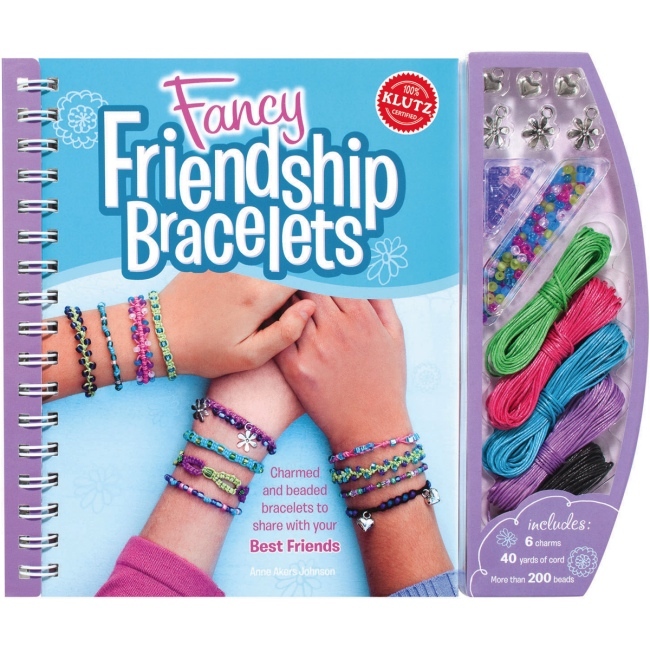 What is great about this Fancy Friendship Bracelet Kit is that you don’t only have to be limited to the cords that they provide, once you’re done you can start going to Spotlight or Artfriend and buy all the colours to your hearts content and get creating. Search around the Weekend Kits website too for a lot of other cool and fun craft stuff like sewing, quilting, scrapbooking, and even slime making! Like Hobby Craft, the prices are pretty reasonable so look out for sales and start stocking up for Christmas! If you are looking for something that will entertain an even younger age range, we have just the activity here that doesn’t necessarily involve messy fingers getting into glitter, glue, or paint. If you haven’t guessed, yes we are talking about the traditional art of origami. 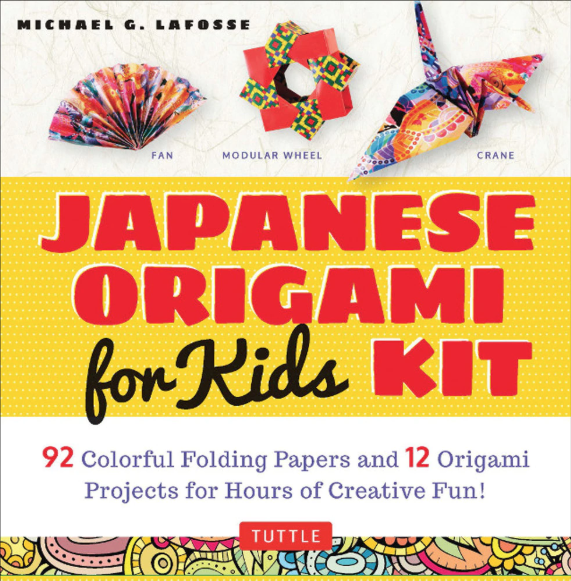 Literally all you will need are square pieces of paper and a set of instructions, which you can get comprehensively from this Japanese Origami Kit for Kids that you can order off Tuttle. As the title says, all the instructiosn in there are designed for kids so it comes at a beginner’s level, perfect for parents who are also new to this and want to impress their own kids. Talk about cheap entertainment. We suggest starting off with recycled paper first to practice at it when you first start out, then once you’re confident enough to demonstrate with the kids, get all the fancy coloured paper. Now, we know that sometimes it is pretty futile to escape modern day entertainment in the forms of the TV, mobile phones, iPads, and other game consoles. We understand that sometimes these gadgets tend to be very good babysitters, sometimes they even do the job too well that our kids might like them more than us. If that sounds all to familiar to you and you’re looking at ways to entice your kids to get their eyes unglued from their devices, then you might want to try out getting the Nintendo Labo Kits. 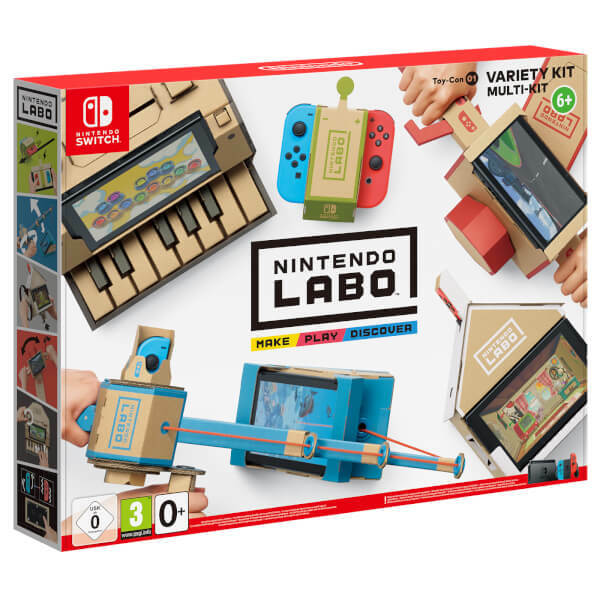 Intended for complementing the Nintendo Switch, these kits were designed and manufactured to get kids back to traditional sensory play with assembling their own cardboard accessories and even decorating them. Hopefully, this fascinates kids enough to create and move away from static playtimes. For a start, we like the Variety Kit, because it comes with different Toy-Cons like a car, fishing rod, house, motorbike and piano. 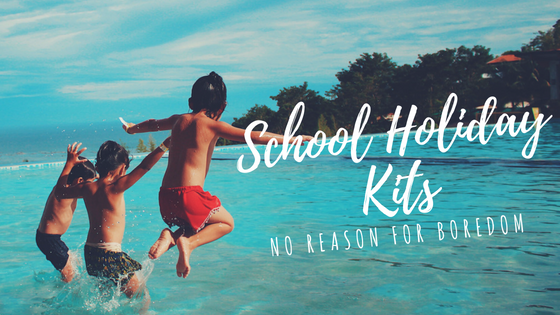 At the end of the day, we hope that these kits help find ways for you to spend time together with your kids, to discover things together and about them, as well as help retain your sanity so you won’t keep hearing how bored they are. Are you parent who has loads more tips and tricks to keep kids entertained? Please share with us in the comments!